African daisies are one of the loveliest garden plants. 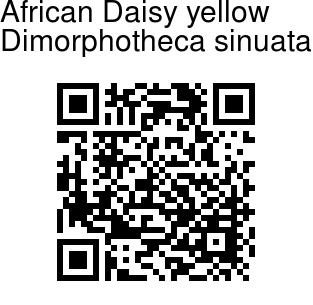 Selected forms of African daisies are available in a variety of shades such as orange, cream, yellow and salmon. 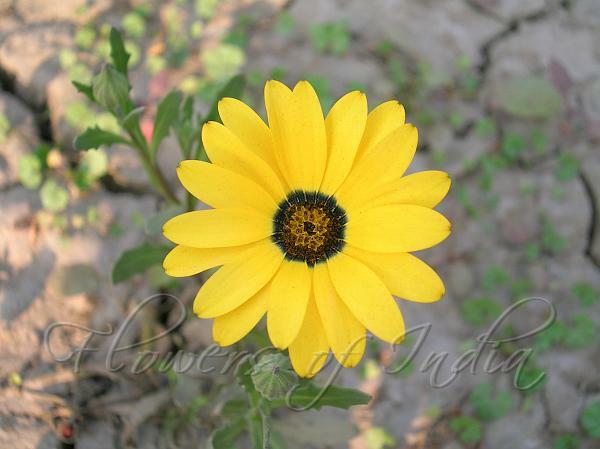 The striking daisy shaped flowers attract butterflies into the garden. Bees love this plant as they collect the nectar from the flowers. African daisy is an annual that grows up to 1 ft tall. The leaves are light green when mature with shallowly lobed margins. They are slender, spoon-shaped, reaching up to 8 cm long. The stems are reddish in colour and are often covered by the masses of leaves around them. African daisy is a particularly attractive species of the genus Dimorphotheca, with remarkably big orange flowers that have orange centres. They need full sun to open and they always face the sun. Around the centre at the bottom of the petals is a narrow, greenish mauve ring. The flowering time is mid-winter to mid-autumn. The flowers are up to 8 cm across and are borne singularly at the tip of each branch. Dimorpotheca = Greek dis (twice) + morphe (shape) + theka (a fruit), referring to the two different kinds of seeds produced by the ray and the disc flowers.